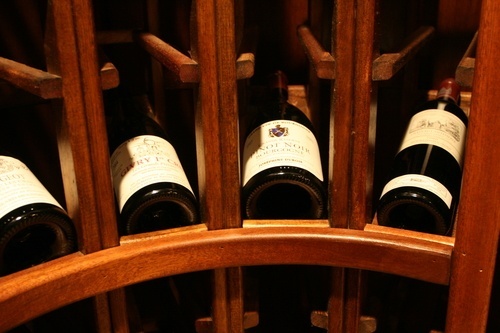 There’s no better way to store your collection of reds and whites than in a custom, climate-controlled wine cellar. The interior remodeling team at Berriz Design Build Group loves designing and creating these specialty spaces in Northern Virginia homes. In order to protect your carefully curated investment, it’s important to have your wine cellar built to certain specifications. Factors we consider include: insulation, climate control, cooling unit, humidity, door quality, and lighting. Please browse our portfolio of wine cellar photos to see examples of our wine cellar remodeling in Northern Virginia. When it’s time to build your wine cellar, call a remodeler who specializes in building wine cellars the right way—to exact specifications, and with unparalleled craftsmanship. Visit our Houzz, and call Berriz Design Build Group to discuss installing a wine cellar in your home. If you are looking for Custom Wine Cellar Remodeling in Northern Virginia, please call Berriz Design Build Group at 703-552-7565 or complete our online request form.